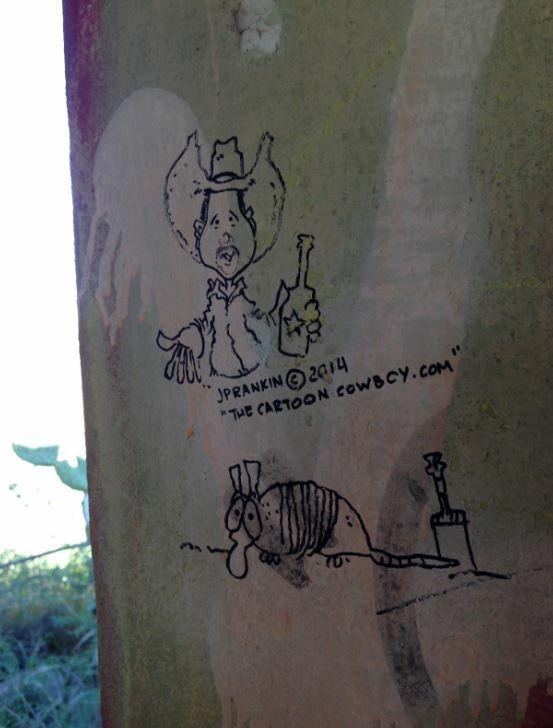 Photos | JP Rankin "The CARTOON COWBOY"
… last year in 2013, my youngest daughter Ammeke and myself began decorating The Lone Star Beer Christmas Tree … so this year we made a page on Facebook for it (why wouldn’t we) … give us a “LIKE” if you don’t mind and if you are traveling between Comfort, Texas and Sisterdale, Texas stop and take a photo and post it on our page. THANKS, THANKS A LOT ! 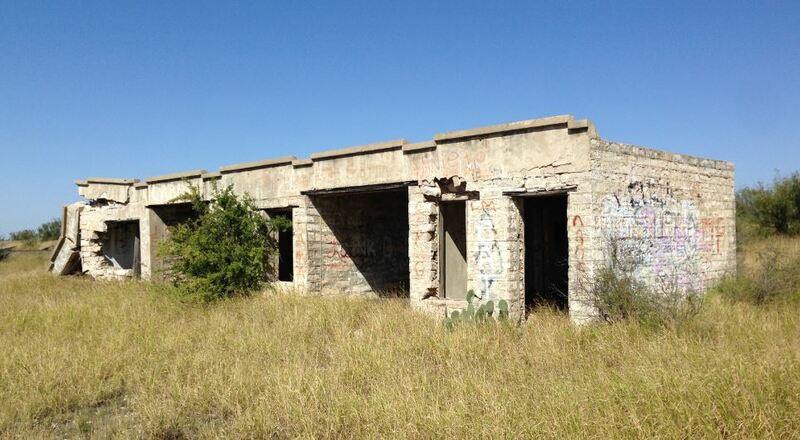 This is an old abandoned motor court between Comstock and Langtry, Texas. I can’t ever drive by this place without stopping. 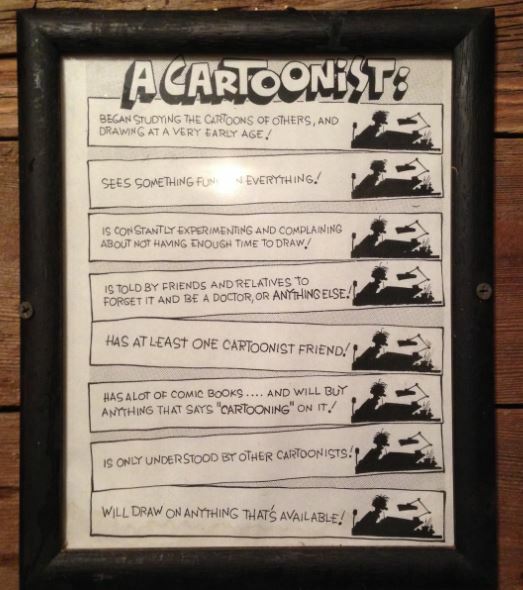 I have had this hanging on the wall of “THE CARTOON SALOON” for many years. Don’t remember how I cam by it, but it is purty accurate for sure. 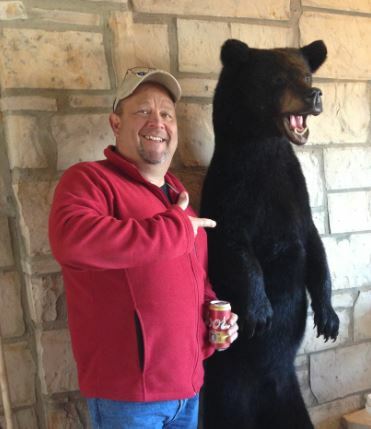 PS: If you are not familiar with the word “Purty” than you damn sure ain’t from my part of the country. … because jacks are for sissies! One of my good friends sent me this photo today so I was obliged to add the caption. … added to the Lone Star Christmas Tree display! 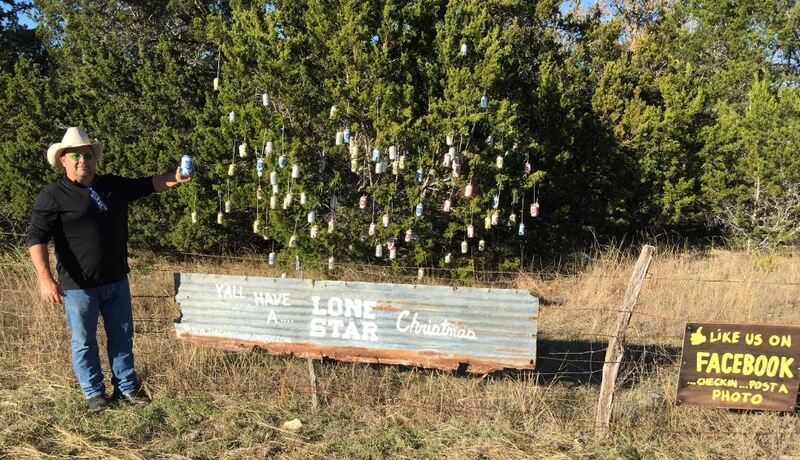 … if you happen to be driving down HWY 473 between Sisterdale and Comfort, Texas … keep an eye out for The Lone Star Christmas Tree. 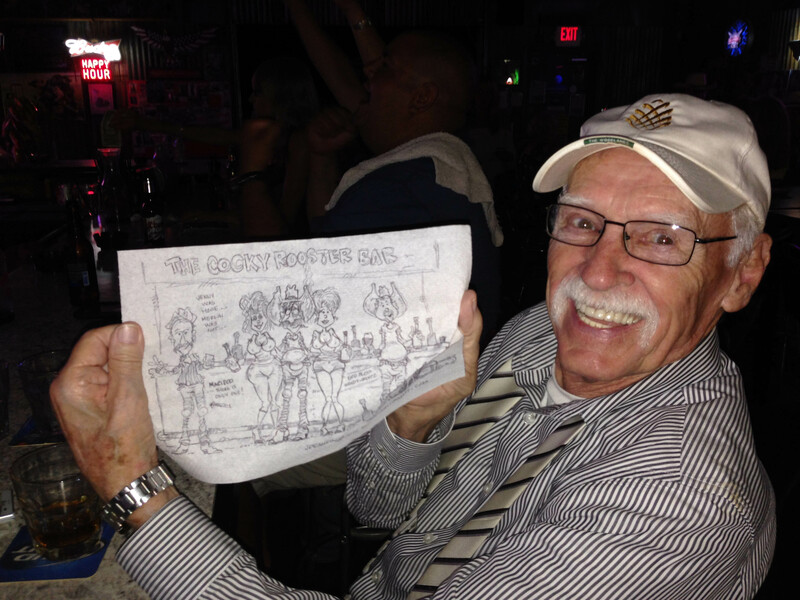 … if you see it, STOP … take a picture and send it to me … I will post it!